Located in Encinitas, CA, Encinitas Jewelers specialize in hand crafted, custom jewelry uniquely made to you. From start to finish, our Master Jeweler, Rick Watkins, designs with our clients in mind to create the perfect jewelry piece for you. Each custom design is hand crafted. To begin, let's collaborate with Rick, sketching up a few concepts, or bring in photos of what you'd like. You can provide any gem stones or old gold pieces you would like to incorporate into the design. Next, Rick will hand carve a wax model to begin the design process. This helps each client to get a "rough" idea of how your design will fit and look on you. 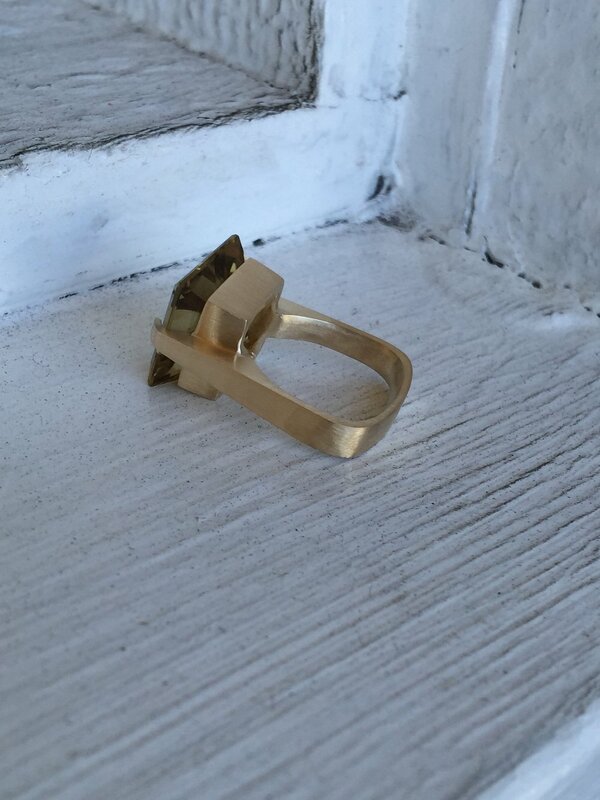 After perfecting your wax model design, your custom piece is then cast into a metal (14kt, 18kt, or Platinum), usually with one more fitting and adjustment before the stones are set. After all of the designing, fitting and final touches of your custom designed piece, your jewelry is ready for you to enjoy, cherish and establish the long lasting memories to come. Our master Jeweler, Rick, is highly skilled in not only creating custom pieces, but also has many years of experience in restoring vintage jewelry back to its original design. In working with the vintage piece, memories of how it once was or photos of the original piece allows us to refashion the heirloom back to its original design. We can match and provide missing stones, remove scratches, abrasions or dings, and repair any damages from simple wear and tear over the years. 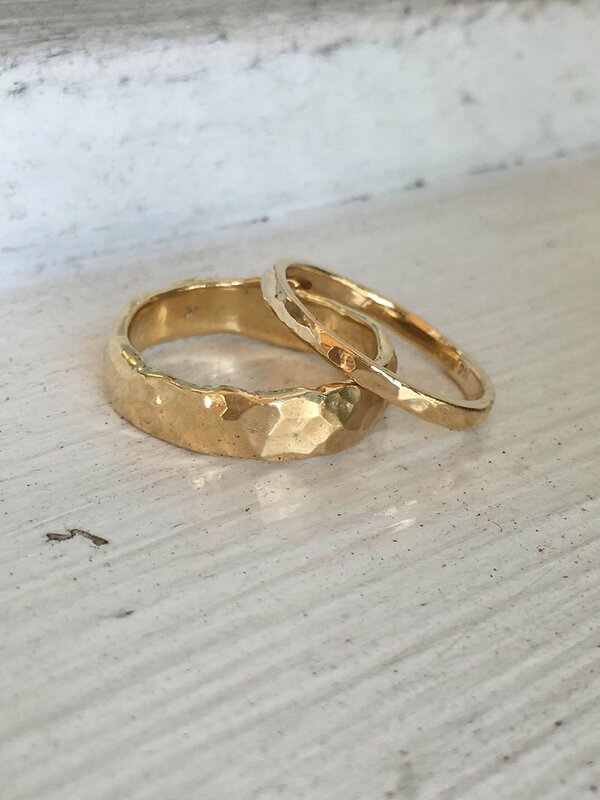 Every piece is worked on by Rick in our Encinitas jewelry studio and is never sent out to other locations, so you can be comfortable in meeting and seeing the only person who will be handling your vintage piece. As with any design industry, jewelry is constantly changing in style. The old wedding set you've worn over the past 30 years is much different from what everyone is wearing now, so let's help you redesign it. 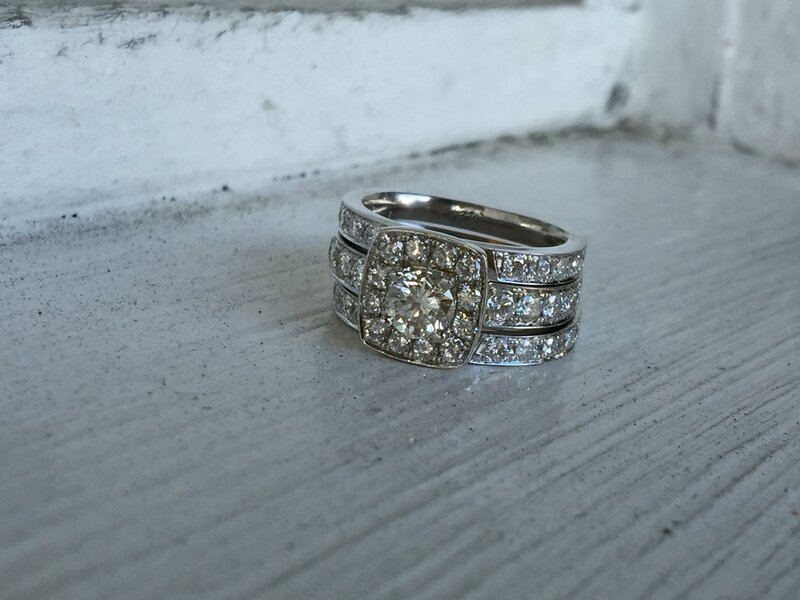 Our services in redesigning can range from a simple sizing of your original bands, an upgrade in diamonds, re-tipping of prongs, to a complete over haul of your ring. Whatever it is you are needing, we are here to help you refashion, remodel, revise or completely rework your jewelry. From broken or missing gemstones, ring sizing or tangled up, broken necklaces, we've seen it all. In our family run business, we provide a friendly atmosphere to help you with all your repair needs. All repairs are worked on by Rick in our local studio located in Encinitas, CA. We never send out jewelry to be repaired by other jewelers. Rick does it all for you, in store. 165 South El Camino Real (Suite J), Encinitas, CA. 92024. Growing up in Huntington Beach, California, Rick surfed almost every day and restored cars in his free time. Starting as a dental technician, Rick found himself making small pieces of jewelry on the side for his friends, which quickly led to his inspiration to trade out the old denture implants, for a jewelers bench. After leaving the dental technician field, Rick spent several years as an apprentice under European Master Jewelers. Working under European Master Jewelers was not an easy task, but this essential time helped Rick gain knowledgeable training, expertise and valued experience that very few jewelers know to this day. After years of long hours, hard work and a little tough love, Rick decided it was time to start a jewelry business of his own. Establishing his first store in Shadowridge, Rick and his wife PJ opened their first store Shadowridge Country Jewelers. Together, Rick, a Master Jeweler and Goldsmith of 30+ years of experience and his wife, a certified Graduate gemologist from GIA, have worked hard to build up their name and reputation of a well trusted, local jeweler. By 1996, Rick renamed business to Town and Country Jewelers and moved to a larger location in Encinitas, CA. The store is now known as Encinitas Jewelers & Custom Design Studio. Family owned and run, Encinitas Jewelers & Custom Design Studio strives to provide a unique jewelry experience with our clients in mind. With a strong clientele following, some having followed Rick all the way from Shadowridge in the 1990s, Rick still remains to be known as that well-trusted, local jeweler. Today, Rick continues to design in Encinitas, CA. along side his youngest daughter and two lovable shop-dogs, Hunny and Bear. So, come stop by the shop and meet the family; we'd love to help you refashion, rework or redesign an everlasting piece for you and your family. All of our diamonds are GIA certified with the best quality to fit your budget. 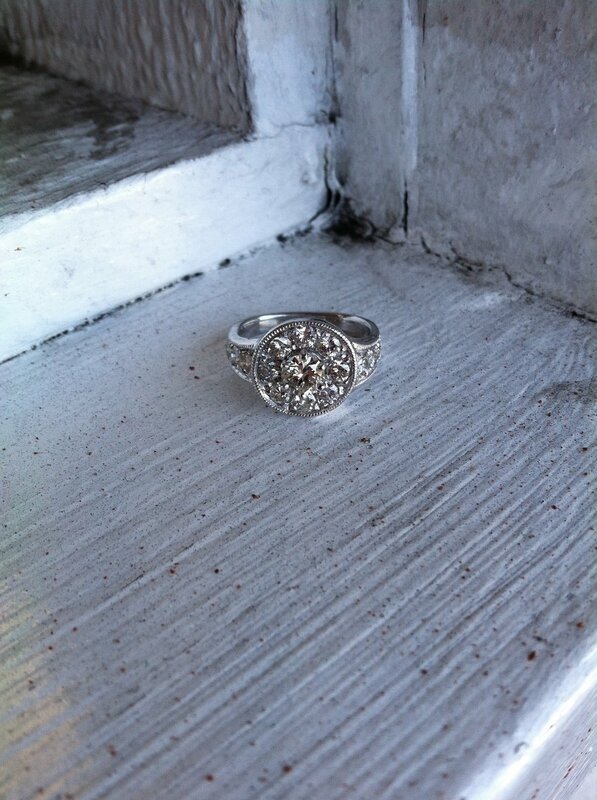 Appointments are currently only scheduled for custom designed pieces or family estate jewelry evaluation. 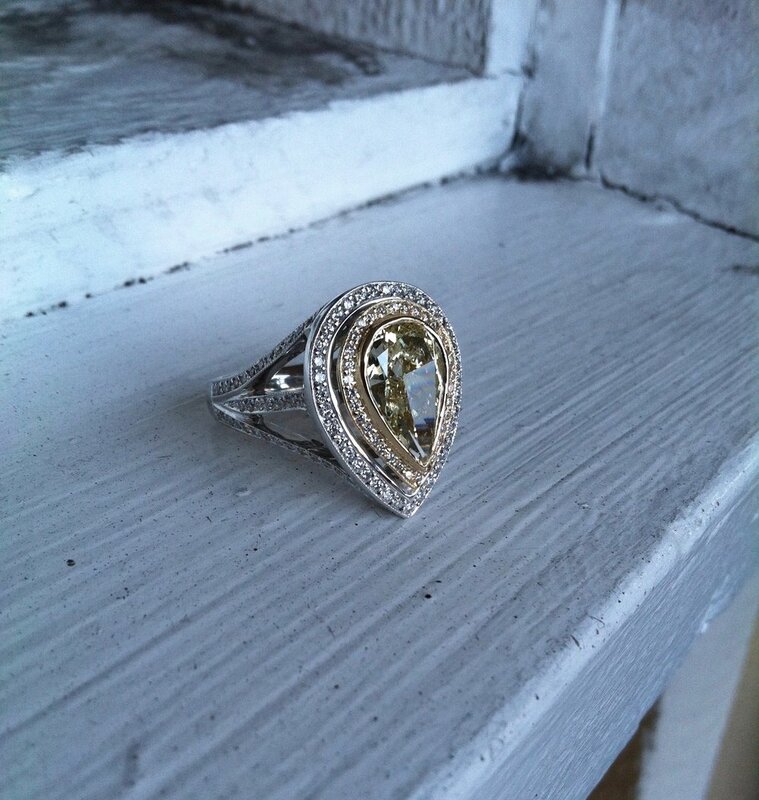 Schedule a one-on-one appointment with our Master Jeweler, Rick Watkins. To schedule, select the button below.